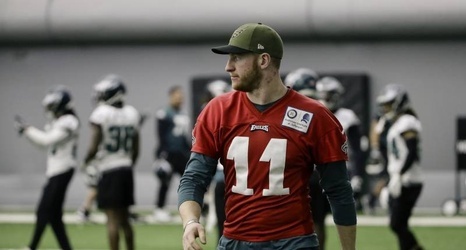 Philadelphia Eagles quarterback Carson Wentz said his "goal" is to be ready for organized team activities beginning next month, according to Les Bowen of the Inquirer. He is still recovering from the broken bone in his back suffered during last season but is slowly working his way back to the field. "There's really no timetable, no rush, but I feel good with the progression right now," Wentz said Monday.